We have seen a lot of sport in person or on television this summer, much of it inspirational, some of it disturbing. The problem comes from money, surprise, surprise, generally from the desire to get more of it. Greed and the culture of entitlement is bred in the genes of many – the history of humanity is stewn with boulders of greed. But first – the inspirational. Top of the pyramid stand the volunteers – those who keep amateur sports alive – often in the wet and cold, at least in Ireland – without much thanks or praise and yet blamed when, occasionally, things go wrong. I ran my 48th parkrun last year – i am not one of those dwellers of the pyramid’s apex – volunteering only once since the first Marlay Parkrun in March 2013. This is something i intend to improve over the coming months – i miss quite a few parkruns due to ill-health but this is not a good enough excuse. So many sports events depend on volunteers – i could not name them all so will refrain from mentioning any, except of course those involved in the parkruns. Athletes, amateur and professional, straddle the divide, the good, the bad and the performance enhancers, cheats if you will. Even amateur sports, because they offer such financial rewards at the top end, not to mention fame, the desire for which can be a drug at least as powerful as the greed for money, are tarnished with the stain of performance enhancing drugs. Early in the summer, i watched the Euros, the European football competition which provided much passion and pathos as the underdogs, like Ireland, Wales and Iceland defied the odds and won matches beyond all expectations. The Irish supporters won more fans than the Irish football team with their determination to party and to include all comers in the festivities. So much to be proud of – though limited by an awareness that even this behaviour is largely dependent on performance enhancers – in the case of the Irish fans, generally booze, generally consumed in what passes as moderation in Irish drinking culture, that is enough to lose your inhibitions but not so much that violence becomes endemic. Portugal, a soccer team most famous for its biggest star, Ronaldo, became European Champions, but only after he went off injured early in the game – a plot worthy of Shakespeare himself. To watch Ronaldo trying to play the game from the sideline, heading every clearance, passing every throught ball and kicking every shot on goal emphasised the passion of the man. International soccer is, of course, overshadowed by the accusations of bribery and corruption on a massive scale – FIFA – Fixing International Football Again. Just how much do they fix? And so to the Olympics. I hadn’t watched them in years because of all the doping allegations – its hard to get excited about cheats cheating. The banning of the Russian athletes and the ongoing publicity about increased monitoring and the belief that the sports were finally being ‘cleaned up’, along with my increased interest in running and, therefore, runners, lead me to watch the events. 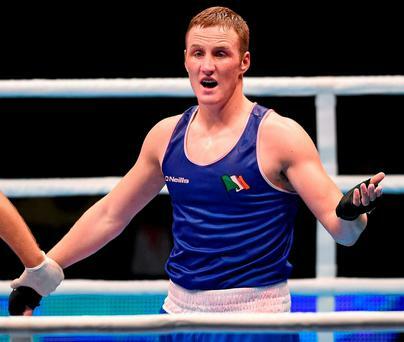 It started poorly for Ireland, a boxer was found guilty of taking a banned substance and, quite rightly, found himself banned too. Our other athletes soon took our minds off this shame – soon a pair of brothers from Skibereen in County Cork – the O’Donovans – rowers extraodinaire – were the talk of the nation and beyond. Their ability to row matched by their ability to chat and their laid back attitude to both soon made them stars of the Olympic interviews. Their quest for gold came close – they were worthy winners of silver medals – and we rejoiced for them and being Irish. Their winning approach summed up as “Close your eyes and pull like a dog” – it certainly worked. Irelands’ other athletes inspired us with their efforts and a second silver was secured by Analise Murphy in a sailing competition – a win that was all the sweeter as she just missed out on a medal four years earlier at the London Olympics. Ireland was in the news again as the judges blatently wrongly voted against one of our boxers and awarded the fight to a Russian boxer. Expert opinion across the globe agreed with Michael Conlan that he should have been the winner but the organising body huffed and puffed, sent some judges home, refused to change any results and threatened Michael Conlan with disciplinary actions – this is how wrongdoing and corruption is protected and perpetuated – the organisation closes ranks around the accused. an Irishman was arrested amid allegations of ticket touting, followed by a midnight raid by the Brazilian police and the arrest of Pat Hickey, the Olympic Council of Ireland president. 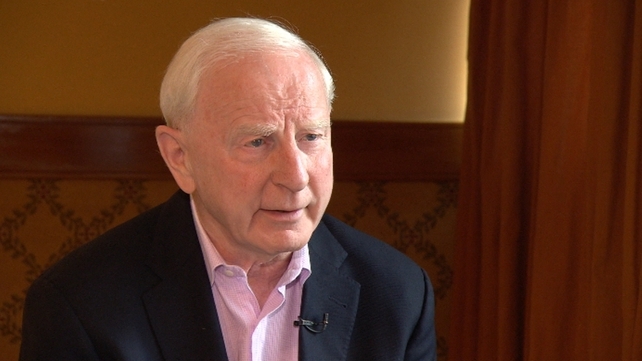 “Pat Hickey has temporarily stepped aside as president of the Olympic Council of Ireland – and from all his Olympic roles – after being arrested in Rio as part of the investigation into alleged illegal ticket sales. Mr Hickey protests his innocence, and is entitled to be considered innocent until such charges might be proven. Information which has come to light about the systems in place for dispensing the tickets have given reason for concern. Either way, a blight has spread over Ireland and our Olympic administrators. Our strengths and good qualities as well as our weaknesses and susceptibilities have been laid bare on a grand scale this summer. and keep up the volunteering.